I had to do a tiny Citricuya/C2 pomade run to replace a list order, and I have a few extras left!!! This batch has been done in our final-version Firm Base; More hold than a standard medium, but not a Heavy either. So, this product has more hold than our previous run in this scent. What is the scent? I might be interested. And to be clear is it $25 for 1 pomade tub? The scent is Barrister and Mann's C2 (aka Citricuya). 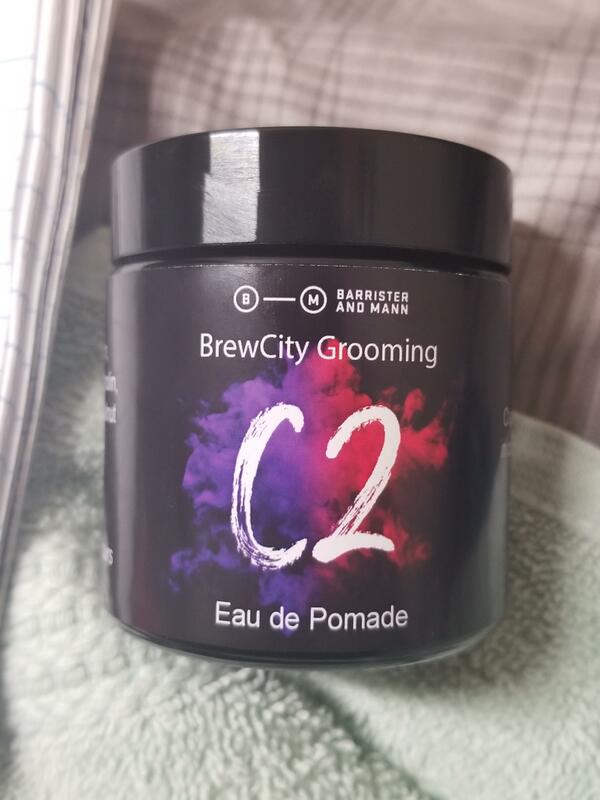 This is a collaboration that my company (BrewCity Grooming) is doing with Barrister and Mann. Have you heard of the scent?